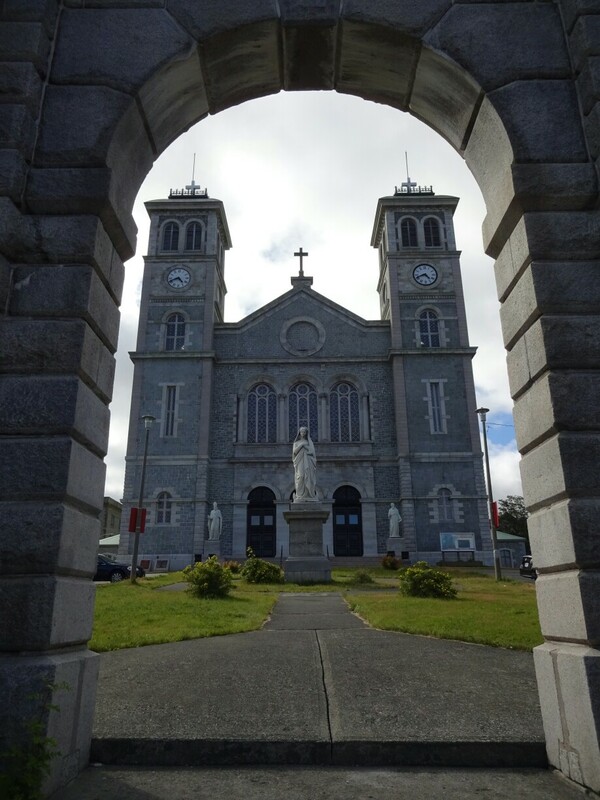 The original plan was to pick up my friend Eiko from the airport and continue to Truro, where I had booked a room at the university for the night. We wanted to make some distance towards the ferry we wanted to take the next day. Unfortunately the plane was almost an hour behind schedule and somewhere along the way Eiko’s backpack had gotten lost. We left the airport without it and didn’t make it on time to the university, where the check-in closed at 10 pm. At this time of the day, booking a room online was impossible. 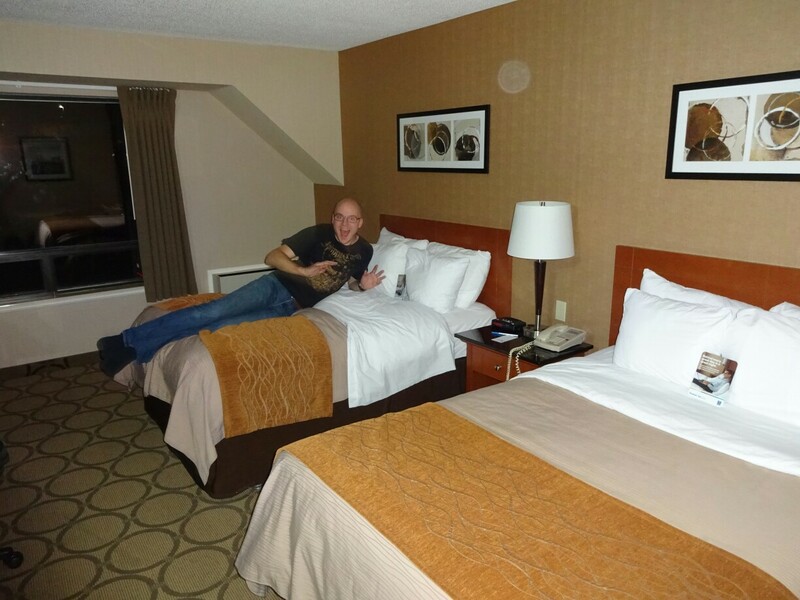 So we decided to try our luck at every hotel we would come across. Right at the first hotel in Truro we were disappointed – it was fully booked due to a convention in town. The receptionist recommended to continue to New Glasgow, where there were more hotels available. With its 20.000 inhabitants it is almost twice the size of Truro, but the only rooms left were a smoking room and an expensive one, which at least didn’t smell like cigarettes. By now we were quite exhausted, so we decided to stay, making it the most expensive night on this trip. 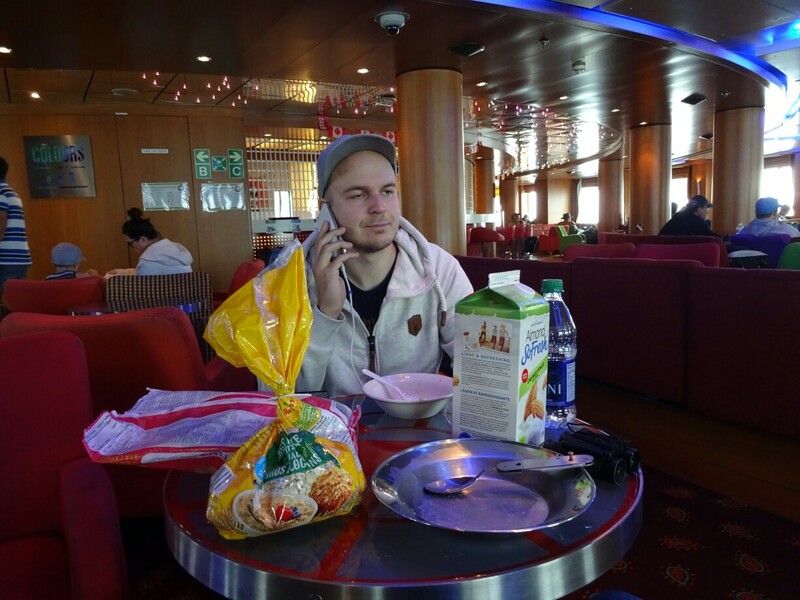 But we slept well and the breakfast was really good, so it was worth it. From here we continued to North Sydney, where the ferry terminal is located. Fortunately we still had some time to fill up the car and to buy groceries and some clothing for Eiko. 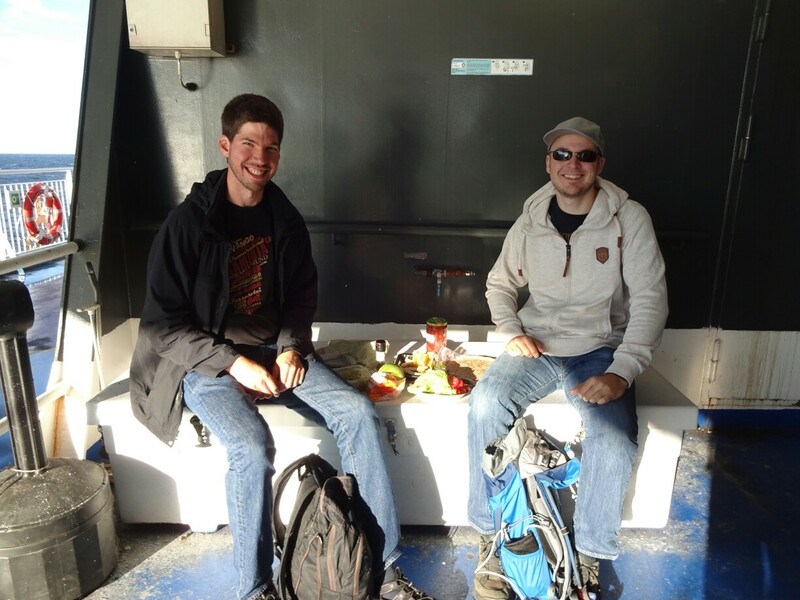 The ferry ride was going to take about 20 hours, so we wanted to be prepared. 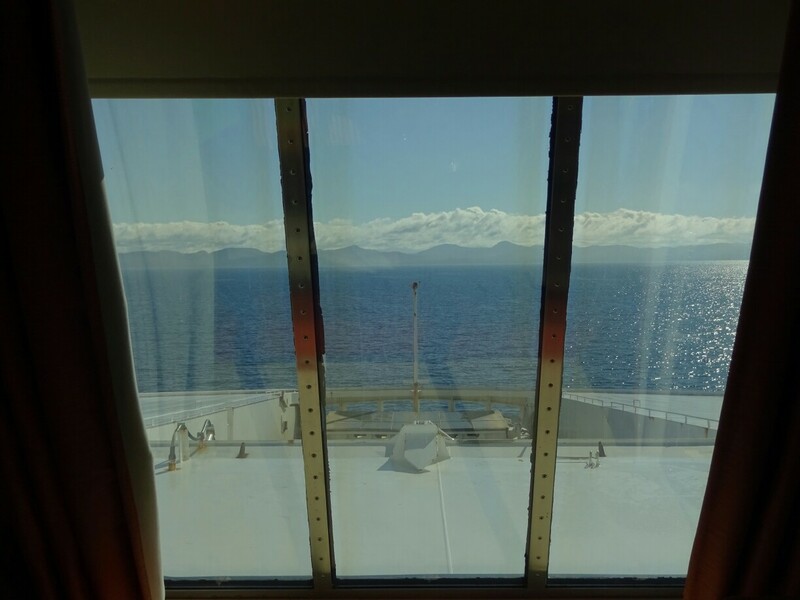 After some difficulties with boarding, we left the car on one of the lower levels of the ship and set off to explore the ship. 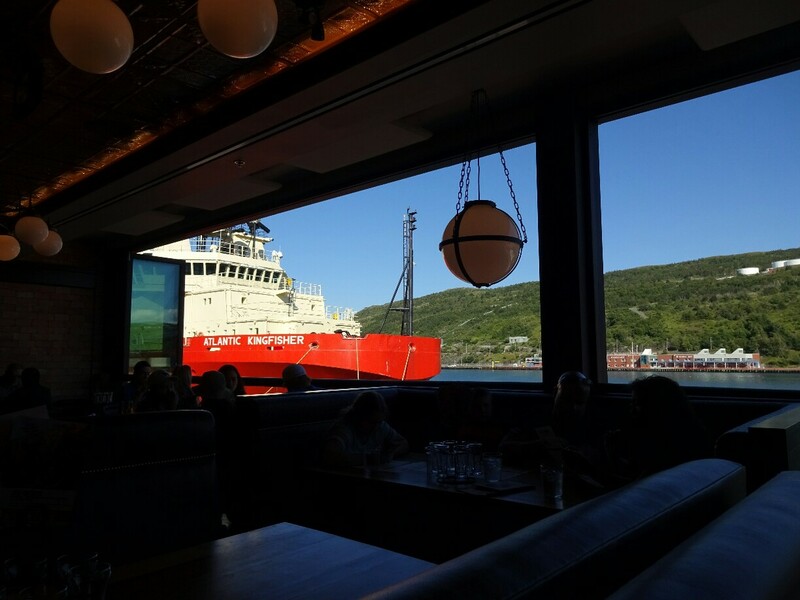 We had our dinner outside, sheltered from the wind, but with a superb view of the ocean and the disappearing Nova Scotia. During the night we tried to sleep on the reclining seats, but didn’t get much rest. 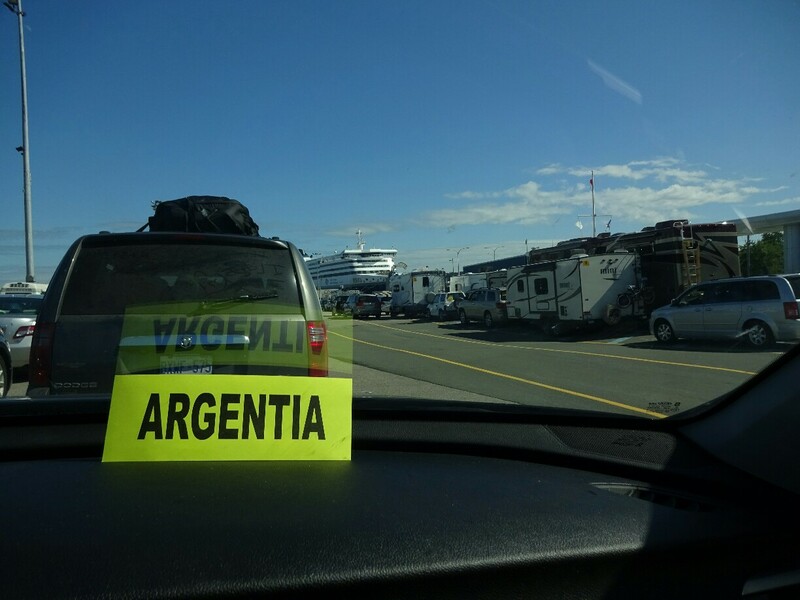 Still, we were all excited, when Newfoundland came in sight and we were able to disembark in Argenti(n)a. 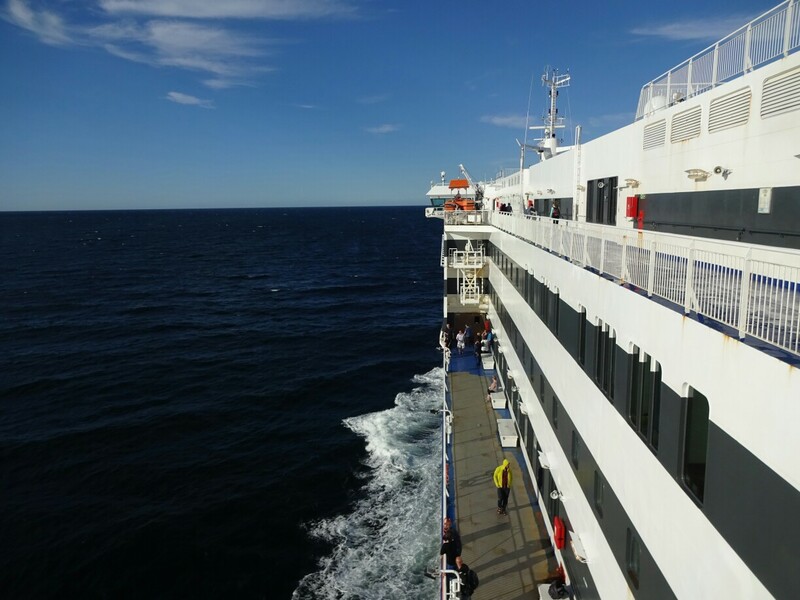 The ferry had dropped us at the eastern end of the island, where it was only a short drive to the capital of the province – Saint John’s (not to be confused with St. John in New Brunswick, which also has an airport). 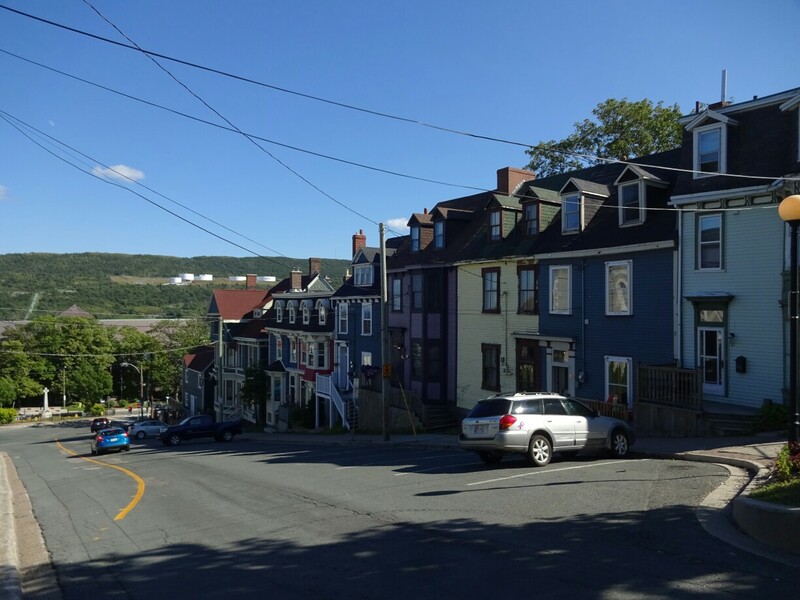 The steep streets, the colourful wooden houses and the centrally located harbour immediately casted its spell on us. Our Airbnb room was not too far from the city center, so we discovered the town mostly on foot. 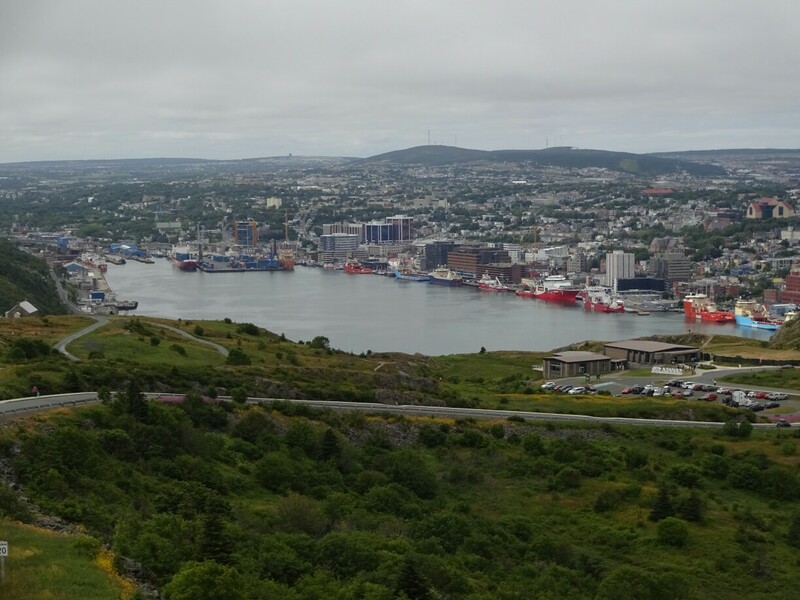 Towering above the city is “Signal Hill”. It was used for guiding ships safely into the natural harbour, but also to defend it from ships of the enemy. 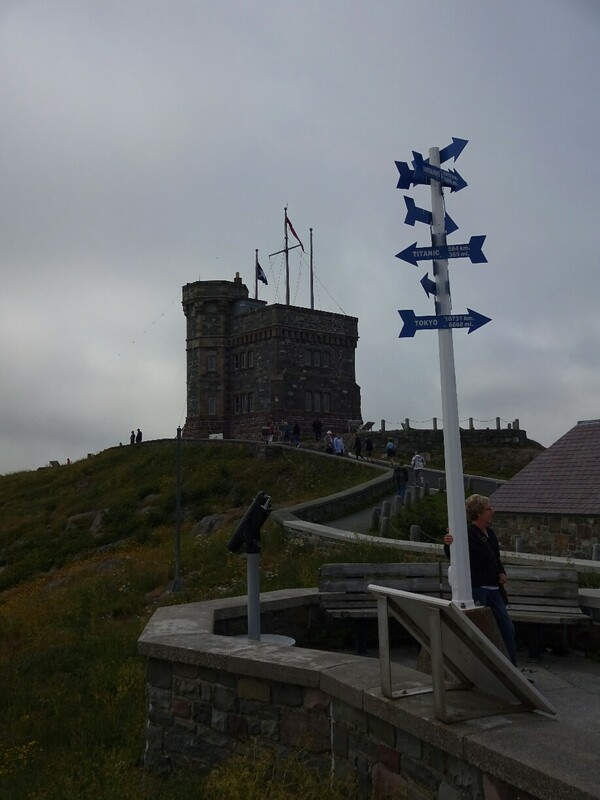 Since the beginning of the last century it houses the “Cabot Tower”, built for flag communication between incoming ships and the harbour. This system was in use up until the late 1950s. Long before that, in 1901, history had been made here when the first wireless transatlantic transmission was received. 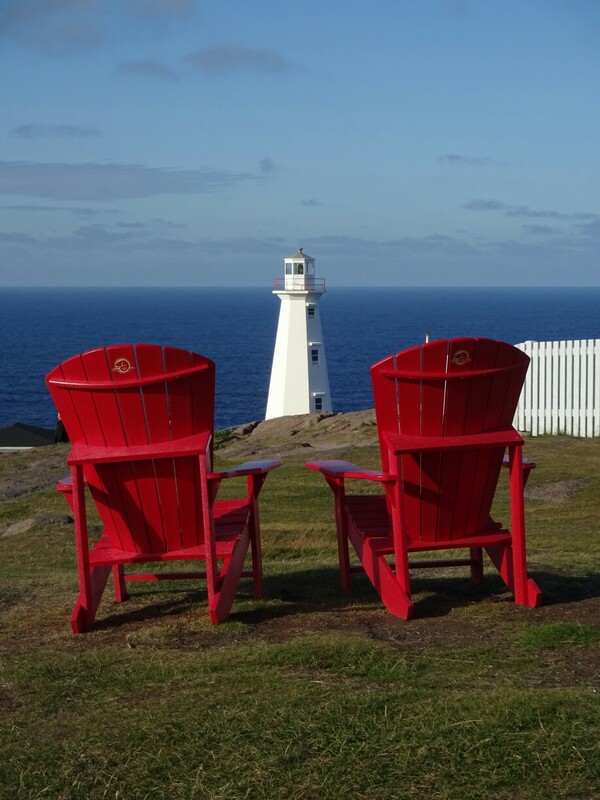 Just behind it are several trails, including the “North Head Trail”, which follows the ridge and allows for a spectacular view of the coastline. And here we finally got to see our first whales on the east coast. We had been looking for a while, but other tourists saw the spouts first. We just had to follow their outstretched arms to see them. However, it was still too far away to see anything more than the spray. Proper whale watching was still on our list for one of the next days. 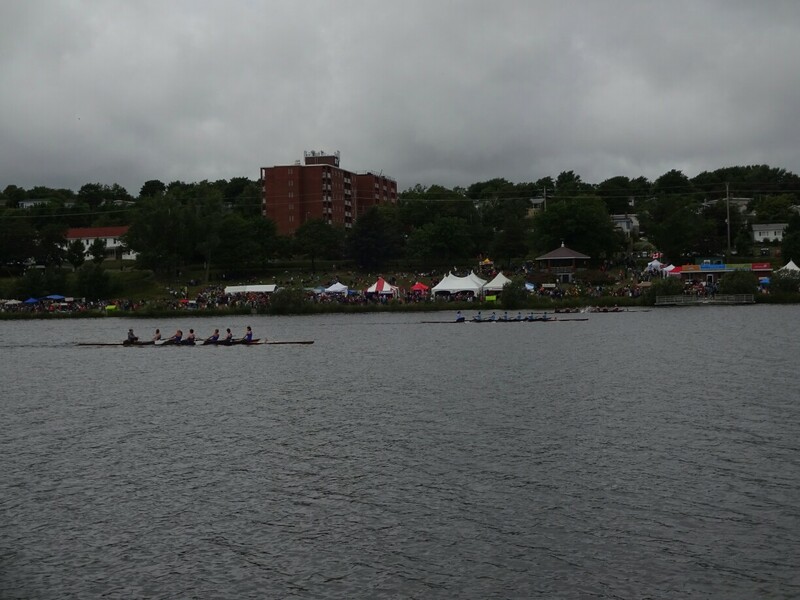 The following day was “Regatta Day”, a provincial holiday, where everyone from Saint John’s and around gathers at “Quidi Vidi Lake”. It’s like a big fair with rowing races during the whole day. Friends and family come over to watch the matches. And like every fair, fast-food is very popular. 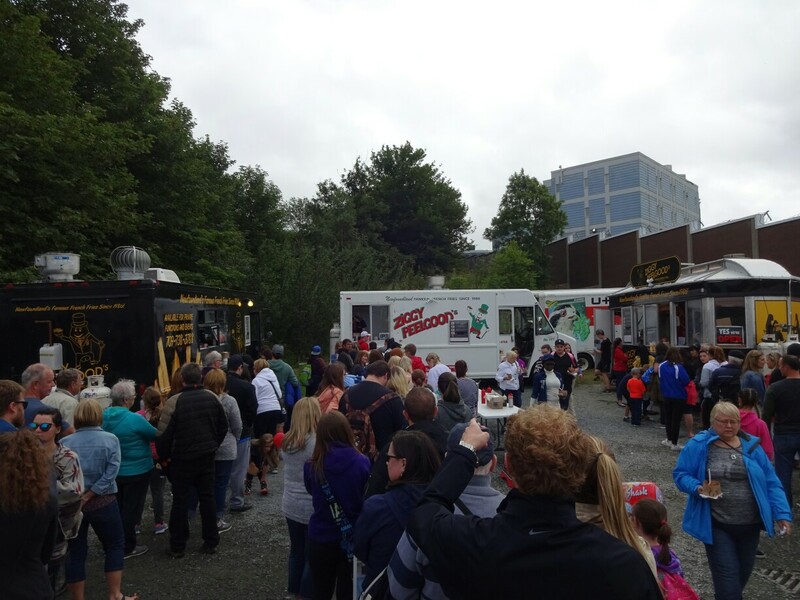 Still, we didn’t feel like lining up for more than half an hour to get a serving of the famous fries from Newfoundland. Maybe next time! 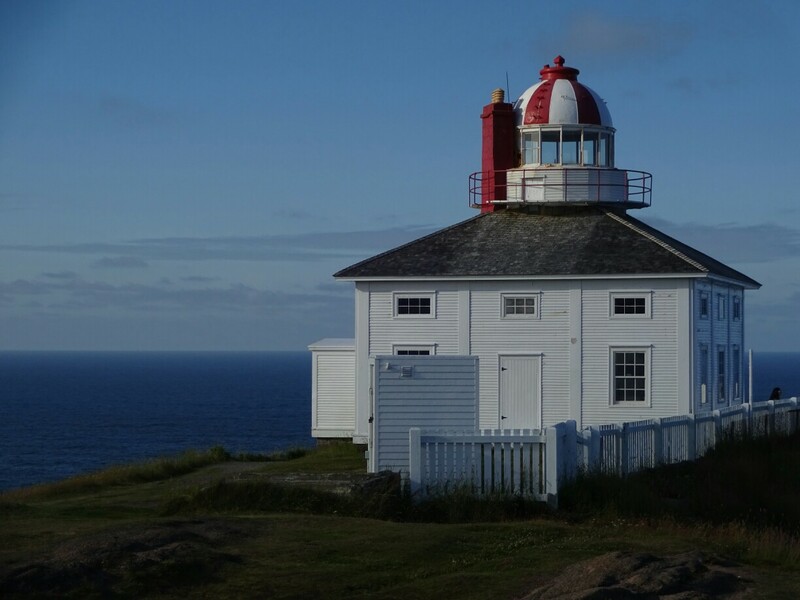 A little further away is “Cape Spear”, another national historic site. This is the easternmost point of Newfoundland and Canada. 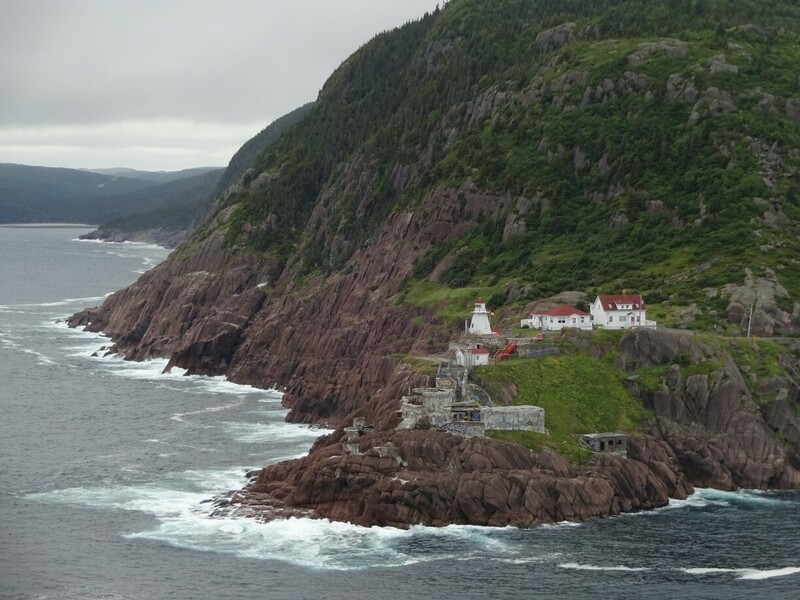 Two picturesque lighthouses were built here as a guidance towards the harbour of St. John’s, the smaller one was set up in 1955 to replace the older structure. The day was perfect and we could see “Signal Hill” off in the distance. And as we were looking over the dark blue water we saw even more whale spouts! Back in the city we made our way to “The Rooms” to learn a bit more about the history and the culture of Newfoundland. 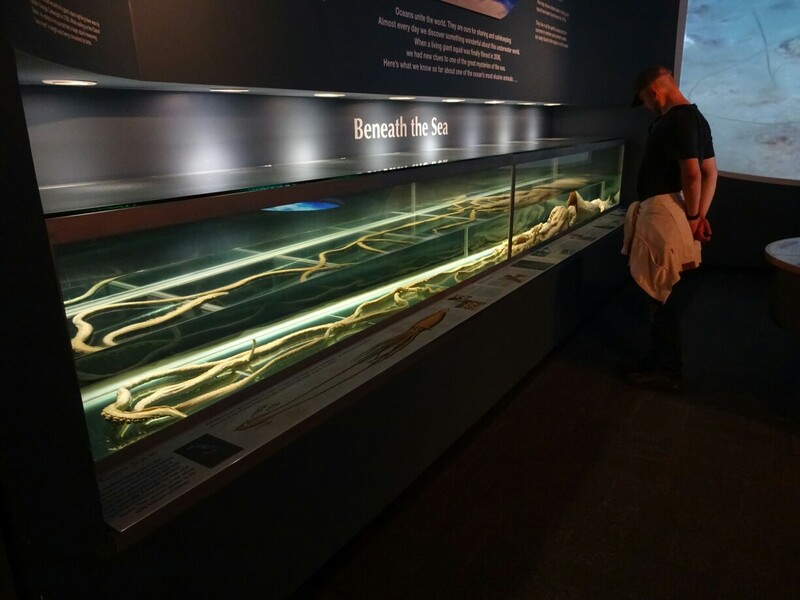 The most intriguing sight was the well conserved giant squid. The 12m creature weighs about 140kg and was washed ashore on a damp winter day in 1981. It has been studied for research and was donated to the museum afterwards. Other exhibits include artwork by local as well as international artists.